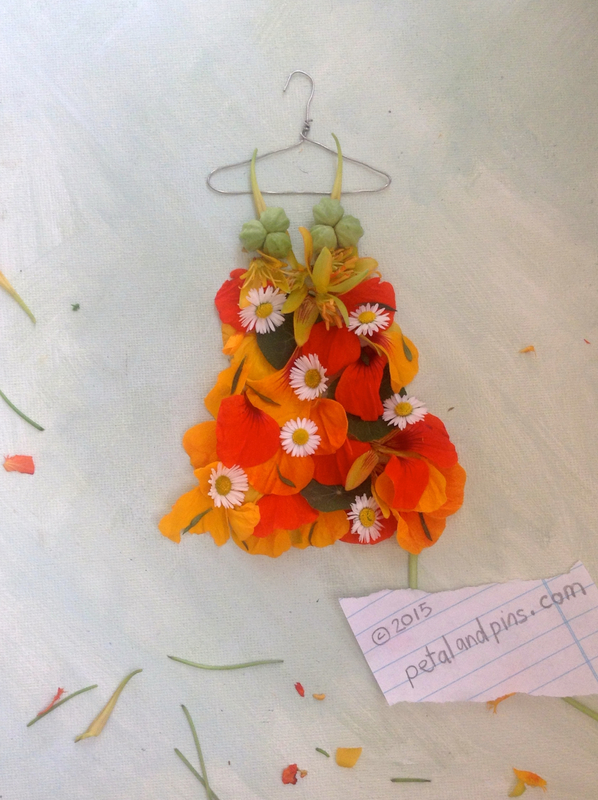 This Garden Fairy’s nasturtium sundress is embellished with tiny daisies from my lawn. You can see another in my previous post Slightly Defiant & Carefree. 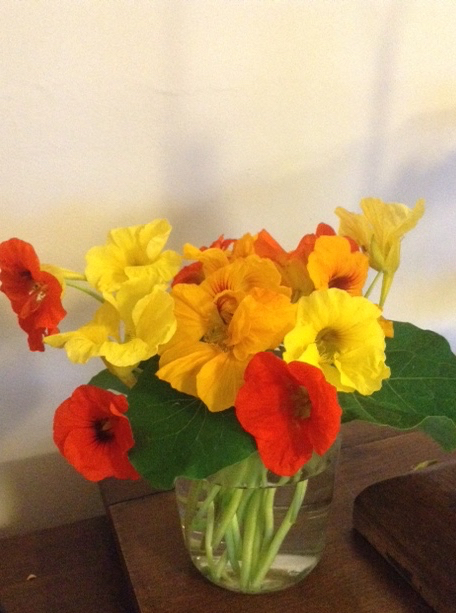 Simple, uncomplicated and never fail to lift the spirits! Thank you. Delightful sundress, Sandra. I can practically smell the pungent scent of this great little annual from your photos. Love the way you used the seeds in the bodice. The daisies are a nice touch – cheerful!